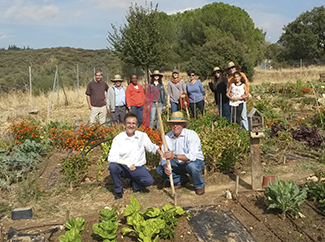 Our 3C project Cultivate Climate and Community continues to bear fruit, after three years since its implementation. To date, more than 500 activists are involved in eight active projects in Catalonia, Madrid and Andalusia. The orchards of Palau-solità i Plegamans (Barcelona) and Palomares del Río (Seville) have been the last to join. 3C is a program that we are not proud of. It encompasses all the commitments that we have acquired with society and allows us to interact and take the pulse of the people that surround us in our daily activity of management of the textile. 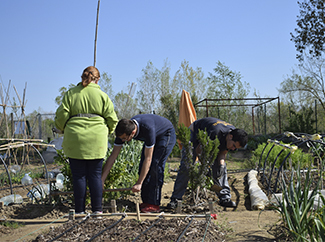 Through this program we provide activists (we call the people who participate in 3C) the keys and tools to join forces and access a healthy and varied diet, learning the techniques necessary for the creation, maintenance and conservation of An ecological garden. The Palau-solità i Plegamans City Council and the Foundation signed last September a collaboration agreement for the implementation of 3C. At the beginning of February an informational meeting was held with the residents of the municipality and, after making the relevant selection of activists, it was launched in the second week of March. In fact the work of parcelization, that is, of delimitation of the plots, is already advanced. The space is in the so-called Municipal Horts of Can Boada Vella. The target is to have a total of 90 activists, 15 of them derived from the municipal area of ? ?Social Services and the rest from the Municipal Horts themselves. The 3C will occupy a total area of ? ?3,000 m2. At the same time the Foundation has just launched the 3C of Palomares del Río (Seville). The target is to have 15 activists who will work on a plot of 2,000 square meters. The project lasts two years, after which a new cycle begins with new activists. That is why, in recent weeks, farewell acts of the first promotions of activists have been happening, giving way to new groups of people interested in social and urban agriculture and participating in 3C. On 28 February a small farewell ceremony took place of the first promotion of the 3C project of San Agustín de Guadalix (Madrid). 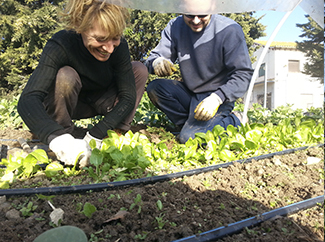 The social garden thus closes a stage, begun in February 2015 and opens a new one, with new activists, who face the 3C with renewed enthusiasm.